Bootstrap Bundle includes project template for all the Bootstrap example layouts and for Start Bootstrap's Modern Business and Business Casual full website templates. 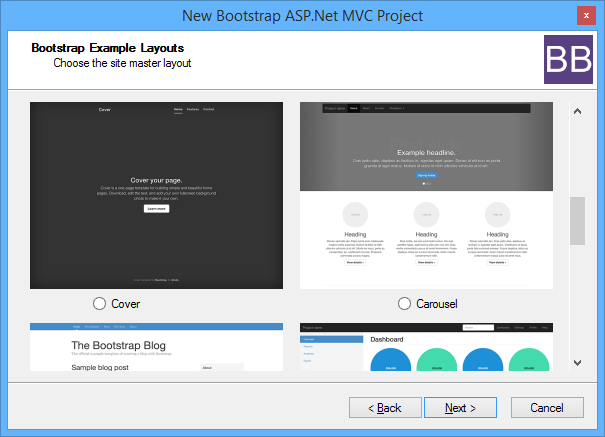 The extension guides you through the creation of a Bootstrap themed ASP.Net MVC website, you can choose your site layout as well as the site colour scheme based on BootSwatch. 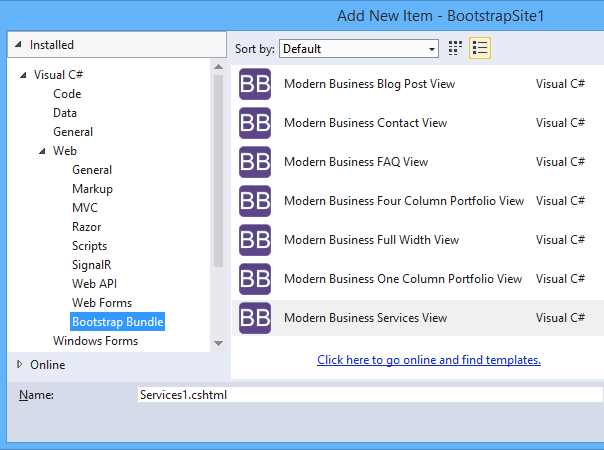 If you have any questions, please use Bootstrap Bundle forum at http://bootstrapbundle.boards.net/. Note, this is for Bootstrap 3 only and support is not included, however I'll try and help as soon/often as I can.